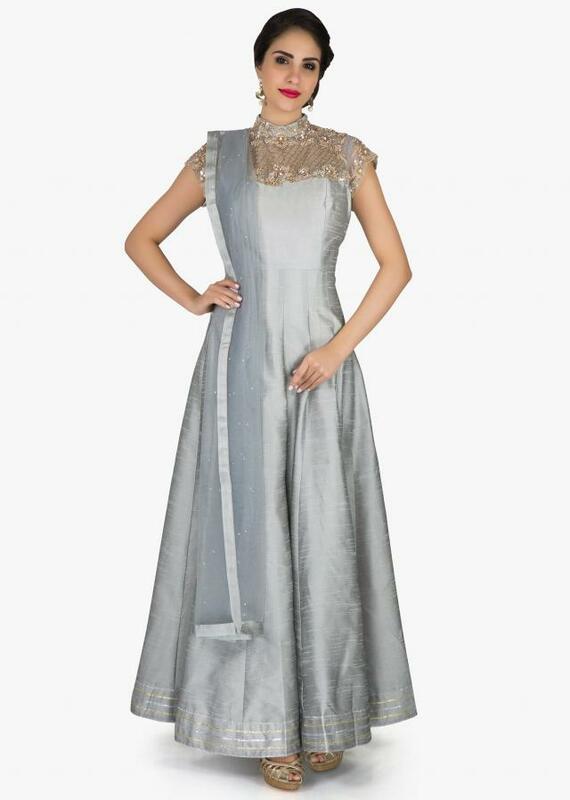 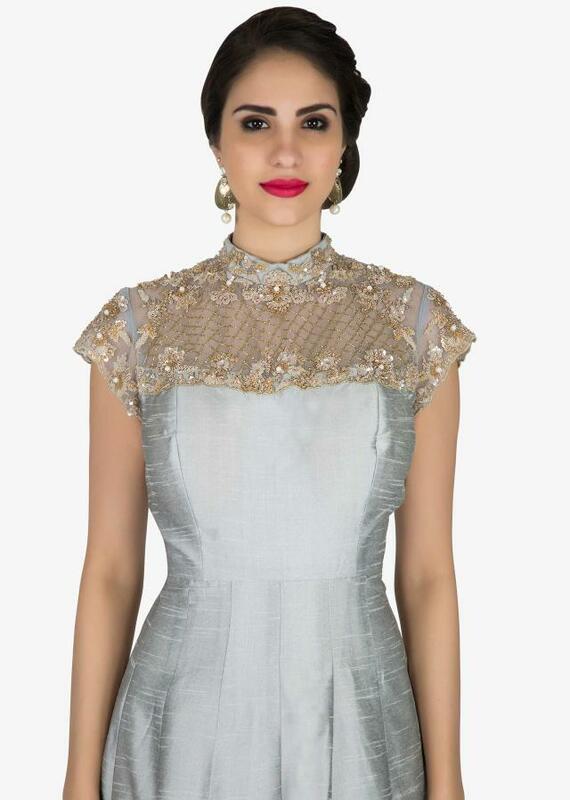 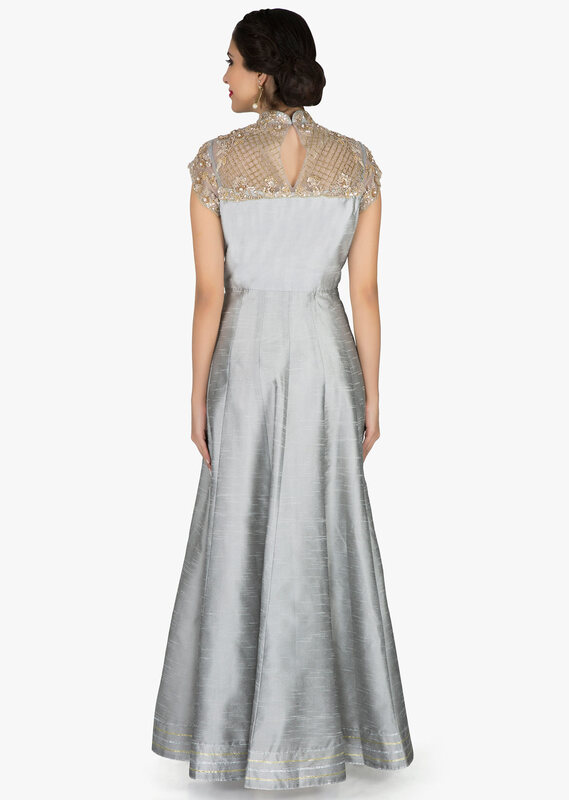 Anarkali suit featuring in grey raw silk. 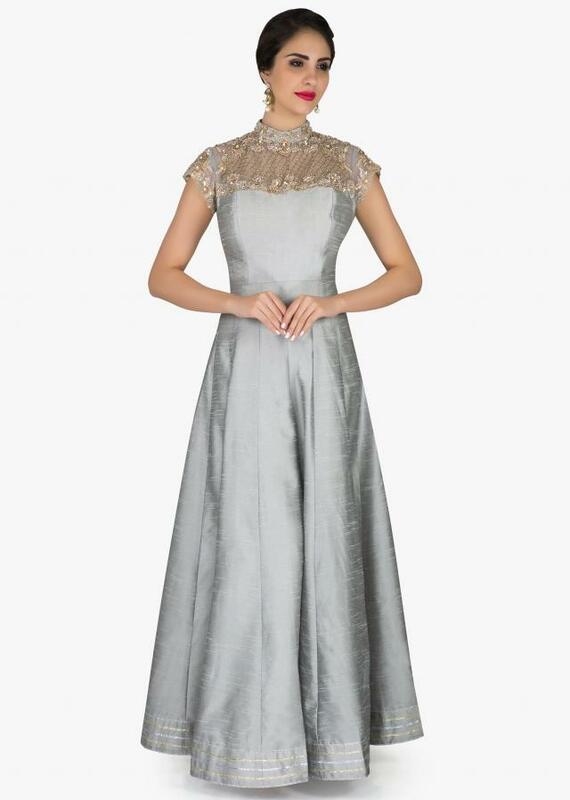 Yoke is in sheer net embellished in cut dana and sequin embroidery. Matched with shimmer lycra churidar and dupatta in grey net with silk border.